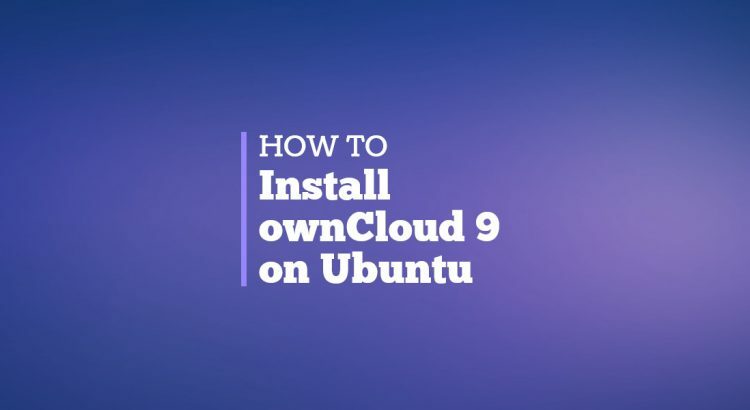 In today’s tutorial, we will explain how to install ownCloud 9.0 on a fresh Ubuntu 16.04 LTS installation. ownCloud is a self-hosted, open source, file sync and share app platform written in PHP. With ownCloud you can sync and access your files through a web interface, create contacts, calendars and bookmarks, easily share your data across devices, preview and edit your text files, documents and images and much more. It’s a great alternative to Dropbox, Google Drive and similar file-sharing services. We will install the owncloud package from the official ownCloud repository. owncloud is a meta package which will install multiple packages including apache2, PHP 7.0 and all necessary PHP modules, basically you will get a complete installation with all dependencies. You can choose between SQLite, MYSQL/MariaDB and PostgreSQL. SQLite is the default database but it is not recommended for production, MariaDB which we will be using in this tutorial is the ownCloud recommended database. Next, we need to create a database for our ownCloud installation. To access the graphical ownCloud 9 installation wizard open the following URL in your browser http://your_ip_address/owncloud, enter the admin account username and password, select ‘MySQL/MariaDB’ and enter the database name, database user and password. Finally, click on the “Finish setup” button located on the bottom of the page. That’s it. You have successfully installed ownCloud version 9 on your Ubuntu VPS. For more information about how to manage your ownCloud installation, please refer to the ownCloud documentation.